A Resource for Making Acro in This Big Beautiful World + Taking Photos for Social Media. 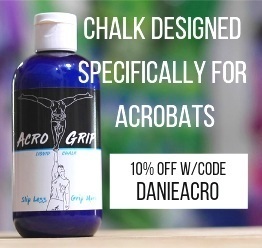 Hey Acro Lover! The human body can do some really cool things. You can + should share those amazing tricks, pretty poses + feats of strength with the world. Is the Space Cool Looking? Could we do a pose here where either the pose would look compelling alone, or a pose that would look interesting in combination with the space? Is this a trick we have done together multiple times? Is this a trick we can do with consistency? Do we have enough space? Are we likely to get bumped into by a bystander? Have we discussed the exit? Is there someone to take the photo/ do we have a good way to set up the camera? You Have Never Done this Trick with this Person. The Trick is NEW to you OR You are not COMPLETELY CONFIDENT. The Trick is NEW to your partner OR They are not COMPLETELY CONFIDENT. There is a good chance passerby’s will bump into you, possibly causing injury to you or them. If you Still Want to Do it for the Gram… Do it Safely! Some fairly advanced practitioners post some pretty unsafe stuff on instagram. Some advanced practitioners post things that look dangerous, but with their level of training and skill are reasonably safe (ie. anything by @stephaniemillenger. Girl is legendary). I like to think those of us who have been practicing for a while are responsible setting a community standard for newer AcroLovers. As a teacher with an audience, I feel a responsibility to model safe acro practices. It makes me livid when I see acro people with big social media accounts post things that are COMPLETELY unsafe, and act flippant about safety concerns. If you are going upload content where things go wrong, own it. Duo Die posted a fall training cascades a year and a half ago. It was a strong message about safety, and a reminder that acrobatics is a dangerous sport. Need some Examples? Here are a few accounts that shoot beautiful + safe acrobatics! Train tricks because they’re super fun. Train Acro because it’s amazing. Do it in Pretty Places. Do it because it’s Amazing. Do it for the Gram. But do it SAFELY!